Each of us grows up in a different environment, with different circumstances, and a variety of individual challenges. We learn through these experiences how to make our way through life. As children, many of these skills are effective. Sometimes even during childhood they don’t work very well. As we become teenagers, and then adults, the challenges we have change. Most of us, however, attempt to manage things we face with the skill set we developed. For many people, these skills do not work well, if at all, for challenges we face as adults. Braden Counseling Center professionals are specifically trained to help you identify the skills that could use improvement, and help you make those changes. Problem management is all about having the right tools. Our goal is to help you determine what tools are needed and assist you with learning the skills to put those tools to work for you. Each of us have our own life challenges. In addition to these, we are involved in relationships, in almost every area of our lives. On most occasions these relationships bring new life, opportunities, emotional connections, and other benefits we enjoy. Sometimes new challenges come into our awareness because of them. It only makes sense too, because each of us has a different life experience, and because of this we don’t see things the same as others do. Makes sense, right? None of us have had the exact same experiences, or reactions, even if the situations were the same. Each of us has learned many things throughout our lives, and these things are unique to our situations. One thing we have found, however, is that we can learn a great deal from the experiences of others. We talk with others to express ourselves, but also to learn how others have managed challenges. Even though our specific situations are unique to us, the challenges we encounter are often similar to those that others face. Group counseling can be very beneficial for several reasons. It allows us to learn from each other, through sharing our own challenges and management of them. It also allows us to recognize we are not alone and the battles we face are those others face as well. When sharing our problems with others, we often gain a feeling of hope. Oftentimes we realize if other people have been facing these issues, and getting through it, we feel more hopeful that we can get through it also. Concentrated help for a wide array of challenges to improve your management of life’s circumstances. 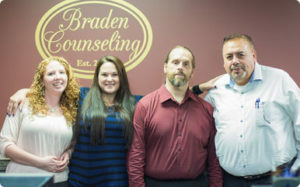 Braden Counseling Center staff cares about your needs and aims to make you as comfortable as possible. You will not be judged; instead, you will be met where you are in your walk through life. BCC will teach you new skills and perspectives that will help you better manage your life. To better serve you, we have flexible scheduling that includes weekends. Please call for an appointment, we have counselors available to meet with you. The goal of Braden Counseling Center (BCC) is to help you change your life, so you can learn to do it on your own. BCC has an experienced staff that is licensed by the State of Illinois to provide mental health services. BCC also offers a variety of evaluations, including same-day DUI evaluations, and legal and forensic work for attorneys. Schedule an appointment today, and look forward to a better tomorrow! You’ll start with an intake appointment. During this time you will develop a treatment plan allowing you to set goals and discover ways to meet those goals. The counselor will work with you to determine the type of treatment that will best help you reach those goals. Whether you need individual, group, or both, BCC will help you on your way to recovery. BCC offers a personalized plan to help you get your life back on track, and be with you every step of the way. BRADEN CENTER IS NOW HOSTING 2 WEEKLY MEETINGS IN SYCAMORE! SMART Recovery® is a science-based addiction recovery support group—where participants learn self empowering techniques to aid their recovery through mutual-help face-to-face and online meetings and services. Braden Counseling Center (BCC) staff recognize this. This an attitude that will be apparent from your first contact with us. We are in this profession to help others improve their lives. It is mandatory to appreciate each person and the unique skills and characteristics they have. Our acceptance of you and your situation, without judgment, is proof of our position. We strive to help you change your life, and learn skills so you can continue to feel more comfortable on your own. Our goal is to teach you to feel competent in managing challenges that arise. Braden Counseling Center staff are required to have this perspective, and it shows in the treatment and feedback we receive. 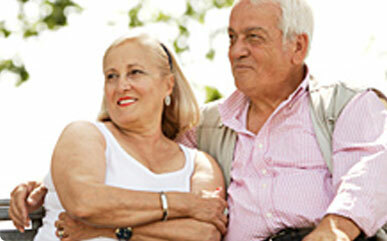 People have different personalities and for this reason, we offer a FREE INITIAL CONSULTATION. During this 20 minute session, you get a chance to talk with your potential new counselor. This time is used for you to get to know your counselor and share the issues you would like assistance with. If at the end of the session you both feel you can make progress with your situation, you can schedule your first counseling session. If, however, you do not feel this counselor is the best match for your situation or personality, we will work to help you find another. Our goal is to help you find the treatment that will be the most effective for you.